Thanks to Mr. Bentz and his 8th grade class, who buried the sensors; and to Drexel co-op Darya Drahun for technical assistance. 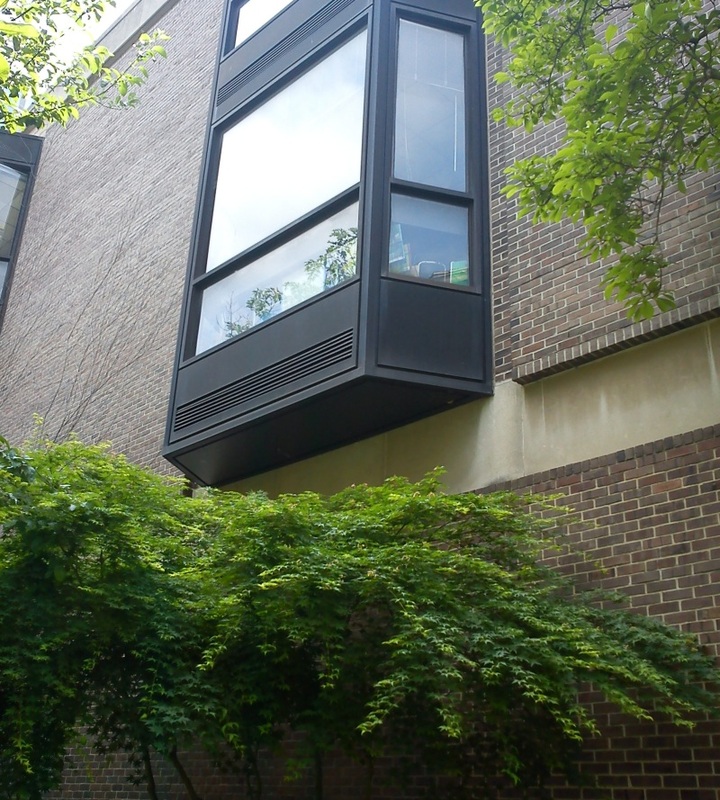 We noticed during our visit that Greenfield is installing a green roof directly below the science classroom; this would be a fascinating new home for the sensors next year. Last week, judges met at the Fairmount Water Works to view the submissions for the greenSTEM Challenge, a student design competition to create artistic, original housings for the sensors set to be installed at three Philadelphia schools later this month. 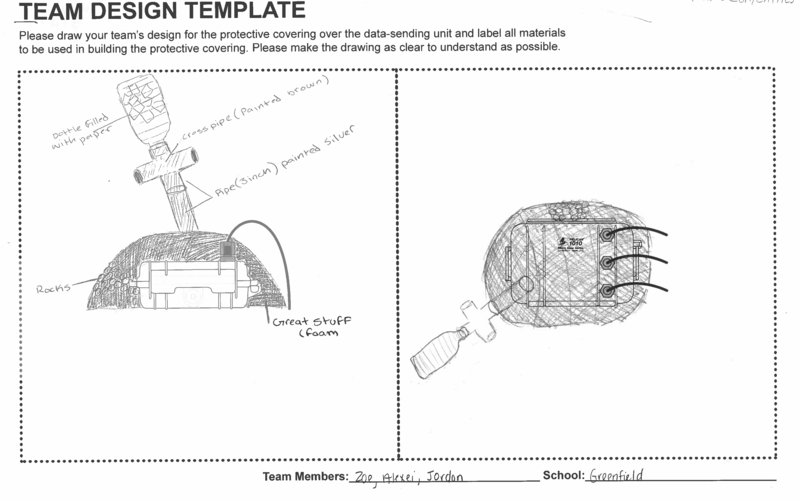 Competition was fierce—the student team at Greenfield who submitted the zombie head design deserves an honorable mention—but we selected three winning designs: a sword in the stone (Greenfield), a spider (Nebinger), and a futuristic light-up dome (Cook-Wissahickon). 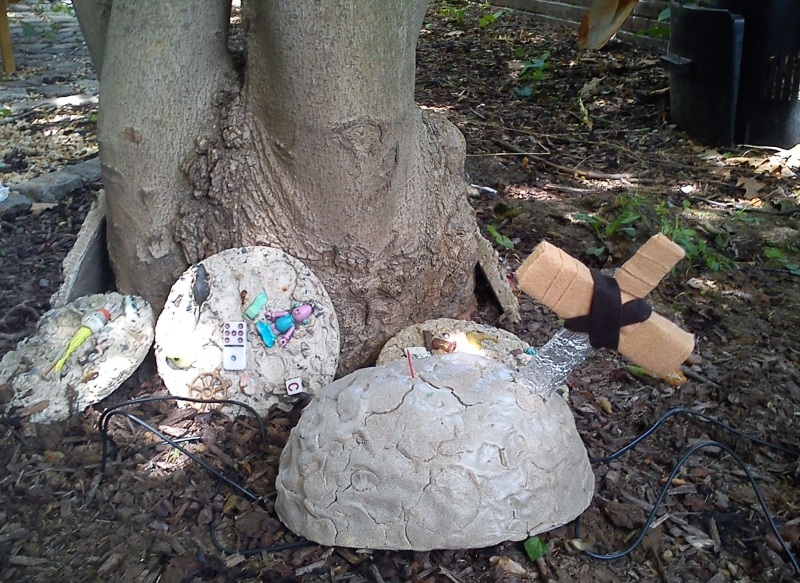 The winners are below; the next step is to gather the students for a day of building. Over the device we will put a block of foam that hardens for more durability. We will make a sword handle out of water bottles filled with paper and pipes. We will spray orange, brown, and silver paint on the pipes. We will also spray paint the foam silver. The end result will be an homage to the classic story of King Arthur. The wires will come out of the foam. The device will be obscured in a nice cover that complements the color of its surroundings and the storytelling we grew up with. The foam will be covered in dirt and rocks to blend in with the ground. 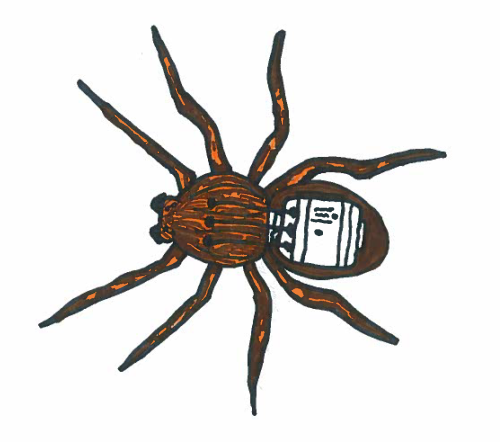 My project is a tarantula. I will have the device inside a Pelican 1010 casing with straws. I will put the wires inside the straws and have the other end connected to the head of the tarantula. I made it easy for you to figure it out in these pictures. We will have a plastic dome around the data-sending unit with LED lights inside the top of the dome. We will use battery packs to power the LED lights [to indicate] when it needs to be watered. 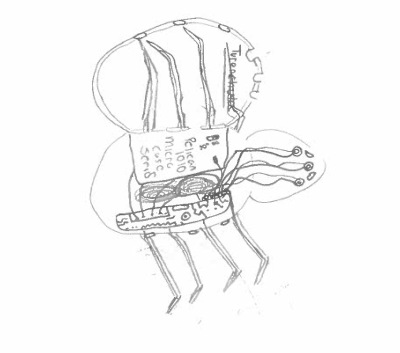 We will use a circuit board to turn on the LED lights because it will be hooked up to the sensors. Congratulations to the students! And thank you to the judges: Beth Miller (Community Design Collaborative), Alex Gilliam (Public Workshop), Lisa Wool (Partnership for the Delaware Estuary) Ellen Freedman Schultz (Fairmount Water Works), and Tiffany Ledesma-Groll and Jay Cruz (Philadelphia Water Department). With the installation of sensors at four Philadelphia schools about a month away, it was time to build some additional Root Kits. Version 1.0 is housed in a Pelican 1010, a $10 waterproof case normally used for stashing your cell phone during whitewater rafting trips or something. We used a half-inch drill bit to drill out the three holes for the soil moisture sensor cables, and the cables are secured to the case with PG7 cable glands (about $3 for a pack of 10) that you can tighten by hand. A few words about drilling: This was a two-person job; one person steadying the left side of the case and the other drilling, slowly and with constant pressure, the three holes. At first, we experimented with drilling pilot holes with smaller bits and moving up to the half-inch bit, but by the end we just did the job with the half-inch bit from start to finish. 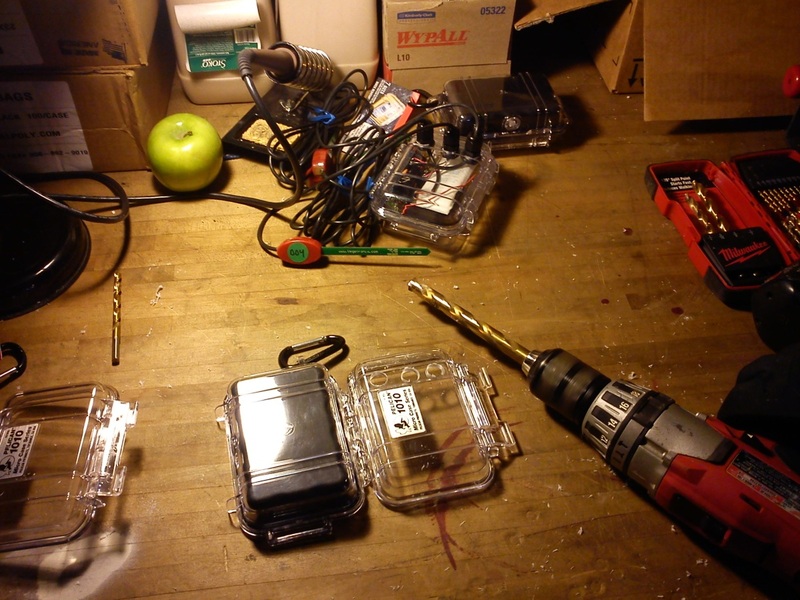 (We haven’t yet cracked the plastic on the Pelican cases, but have definitely destroyed a variety of less-sturdy plastic components while drilling.) It was difficult to align the holes and make it look pretty. The drill bit walks. This is not of great concern, however, since these cases will eventually be covered by students’ creative and artistic designs. 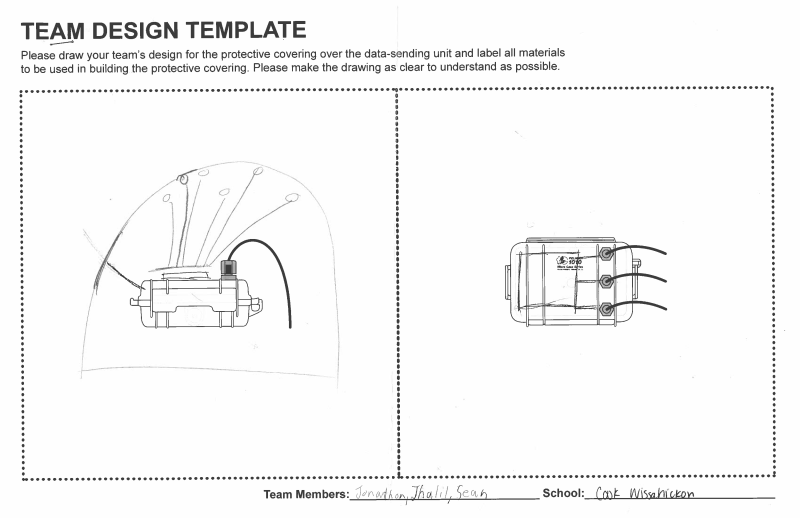 Speaking of which, students at Greenfield, Nebinger, and Cook-Wissahickon elementary schools are currently designing Root Kit housings for the design competition. The deadline for submissions is April 4, and more info and downloadable packets and drawing templates are here. 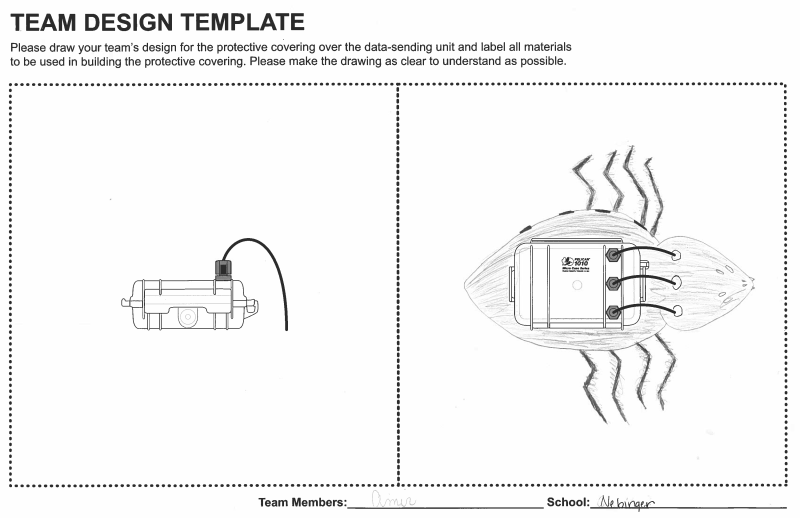 We’re in the process of assembling a complete set of instructions for assembling the Root Kit and plan to work with students at Science Leadership Academy’s Beeber campus this spring to be the first large-scale manufacturers of these sensor kits. As detailed in a previous post, Greenfield Elementary School in Center City Philadelphia is one of the Water Department’s “green schools.” (It’s an environmentally conscious school in its own right, regardless of PWD’s designation, but the green stormwater infrastructure at the schoolyard is what connects the Solar Sunflower project to it.) Earlier this week, we paid a visit to the school during an in-service day (a day without students, when teachers receive some training) to present the project to the faculty and scope out possible spots for installation. 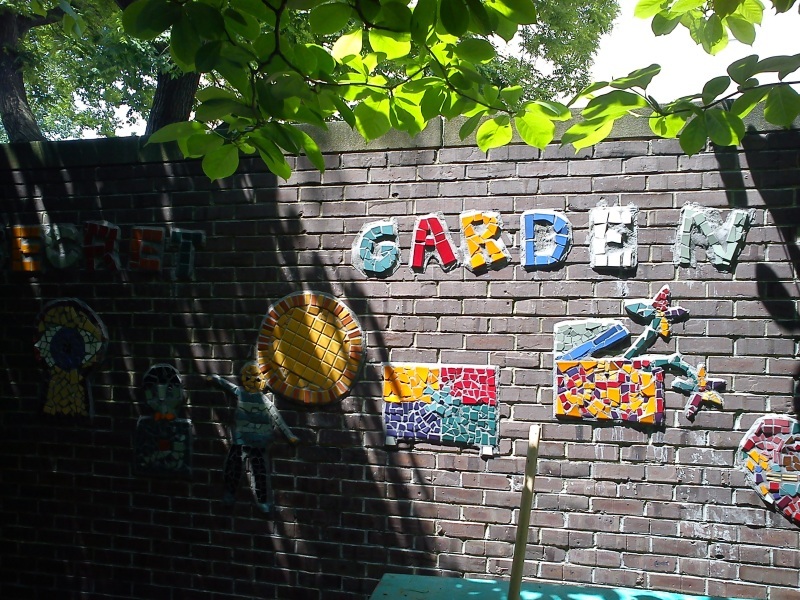 There’s good news and bad news about Greenfield, at least for the moment: On the challenging side, the main schoolyard and rain gardens are pretty much open to the public—the space is not gated or closed at night, so that leaves the Sunflower or any type of sensor setup vulnerable to vandalism. It isn’t a dealbreaker; we just need to invest much more time into securing sensors and electronics inside heavy-duty housing bolted into concrete or enclosed in a junction box. This makes it possible to do something visual with the sensors in the garden—maybe an LED display lights up when the soil is dry, and students looking out the window can get the bat signal to go out and do some watering. A similar transformation is about to take place at Nebinger Elementary School in South Philadelphia (actually, Bella Vista—you can start a small war in Philly if you’re not careful about getting the neighborhood correct). This summer, construction begins at Nebinger to create a rain garden and porous play surface where asphalt used to be. The rendering below shows what the greened schoolyard might look like. The rendering below also shows what it might look like if a child with one foot were running—you see that guy in the background? 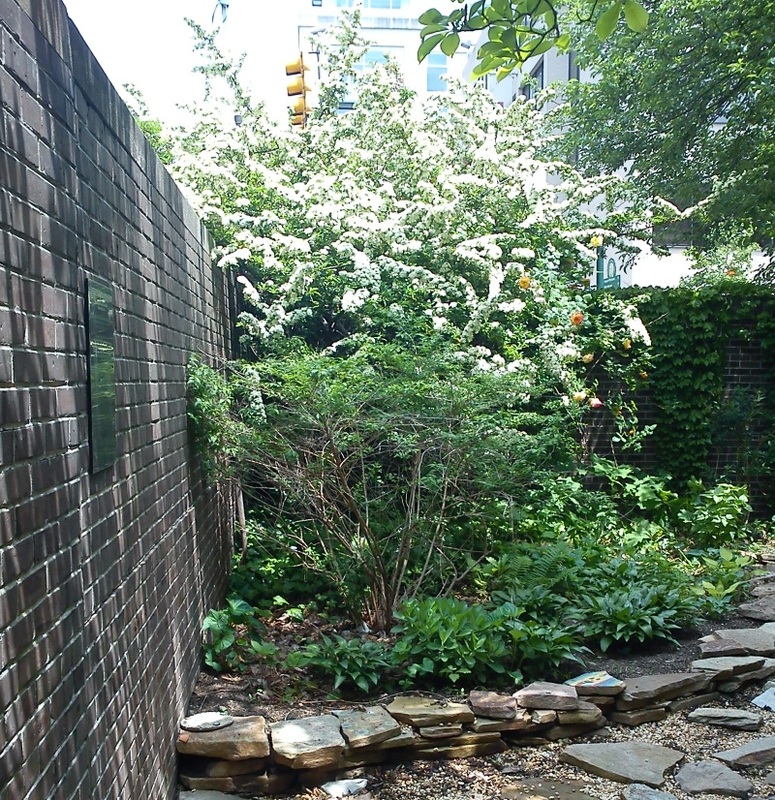 Schools are great locations for green infrastructure. Blacktop schoolyards tend to be large impervious spaces that normally contribute a large volume of stormwater to the sewer system. 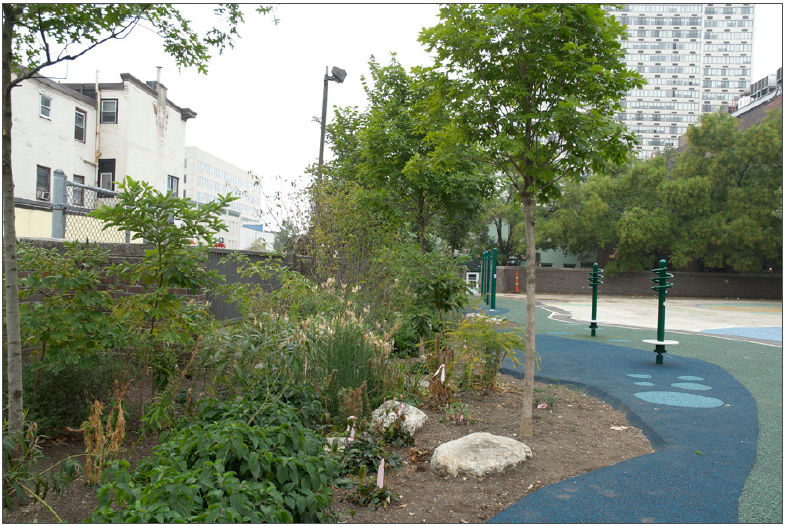 Schoolyard makeovers can revitalize play areas and introduce nature to the urban landscape. 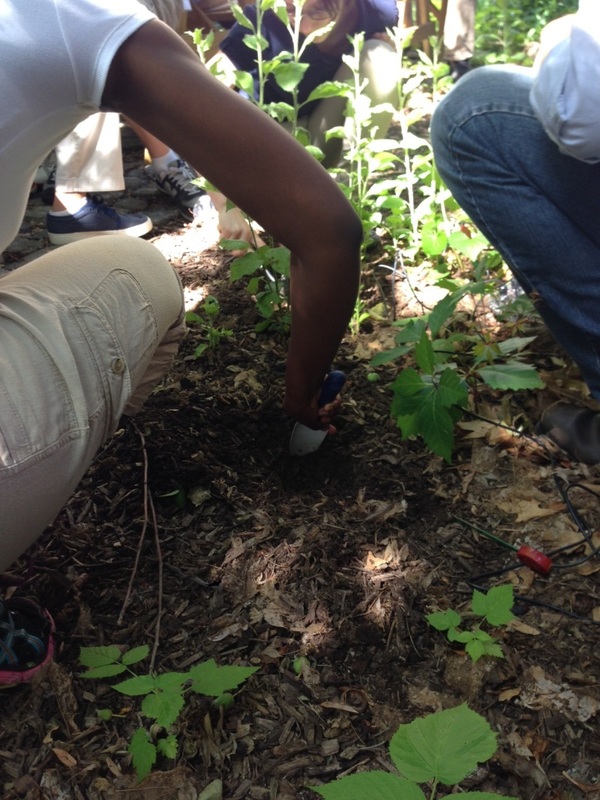 Having the students use technology to monitor their vegetation adds another layer of connectivity and offers even more opportunity for STEM education.